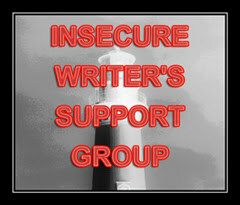 I’ve come to the first Wednesday of February and time for another installment of the Insecure Writer’s Support Group and I wanted to share some of the thoughts I’ve had in the past month. Writing is hard. Especially when emotions run wild and out of control. This is a surprise to me since I use writing in my work with clients and I’ve used it for healing myself. My dream to publish hasn’t died even though my heart hurts at the moment. I’ve tried not to be too hard on myself even when I feel I should be writing. Healing from emotional pain takes a lot of energy. There has been very little left over for anything or anyone else lately. Creativity hasn’t disappeared. It’s just muted. I’ve had moments of brilliance. There haven’t been many but enough to keep me going. There are few words to describe the emotions of the past four weeks. I’ve given up trying and am just moving on. Blogging on a schedule doesn’t work when life is topsy turvy. I am working on it. Hopefully, I can get back to normal. As usual, life is full of lessons and I am learning them at full speed. Life will go on, whether I write or not, so I will follow my dream. Yes, dear, you WILL write! You WILL heal, you WILL be strong again. I tell myself that every day. It is in writing you can find solace for the hard times. I cannot count how many times I have poured my emotions on to the empty page only to either burn it, or rip it up and start over. In adversity we find strength. Good luck with your goals! Thanks for stopping by. I’m still working on the healing part. Grief is a personal journey. No two people react the same . I have lost quite a few family members and losing part of self, grief became almost a resident in my mind and heart. Living in the dark place of grief, learning daily how to focus on the small ray of hope, to get through the day. Thanks, Michele, for the kind words. I’m looking for the bright moments every day.